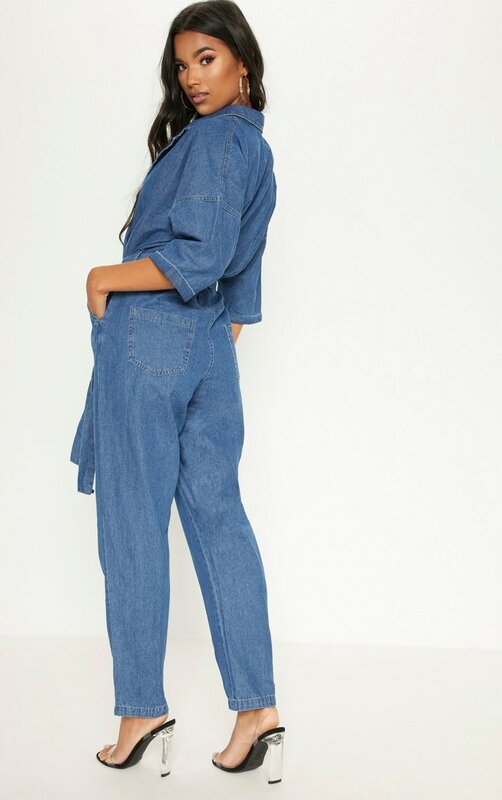 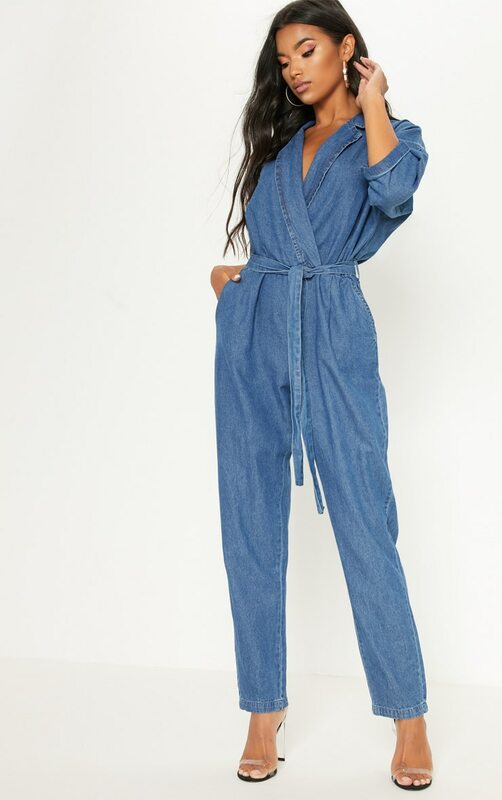 This jumpsuit is screaming utilitarian vibes and we are obsessing over this jumpsuit this season. 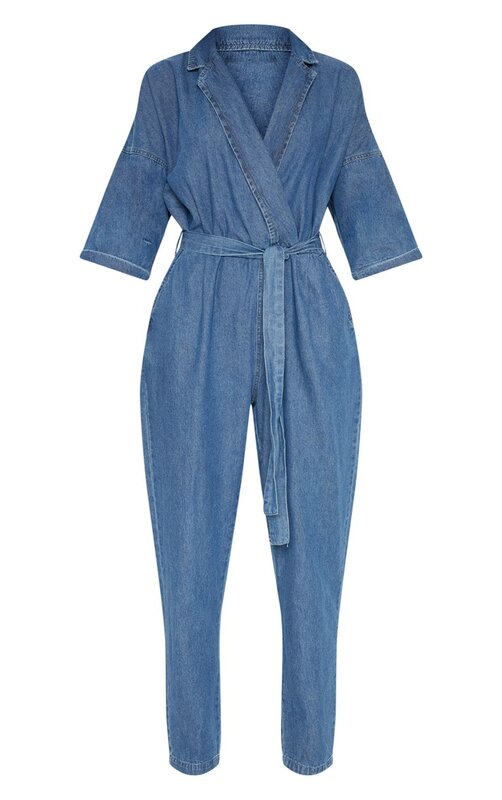 Featuring a mid wash denim material, a tie belt detail and a zip fastening. 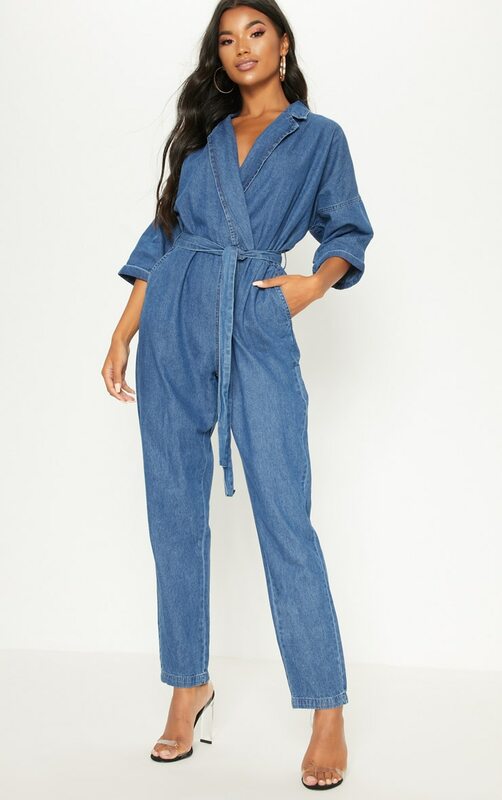 Style this jumpsuit with barely-there heels for a day to night look.